This false-color image shows comet Tempel 1 as seen by the Chandra X-ray Observatory on June 30, 2005. The comet was bright and condensed. 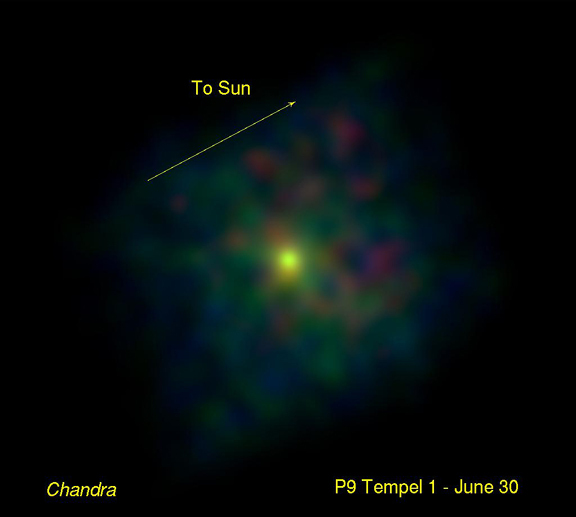 The Chandra data indicate that the X-rays observed from Tempel 1 are primarily due to the interaction between highly charged oxygen ions in the solar wind and neutral gases from the comet. 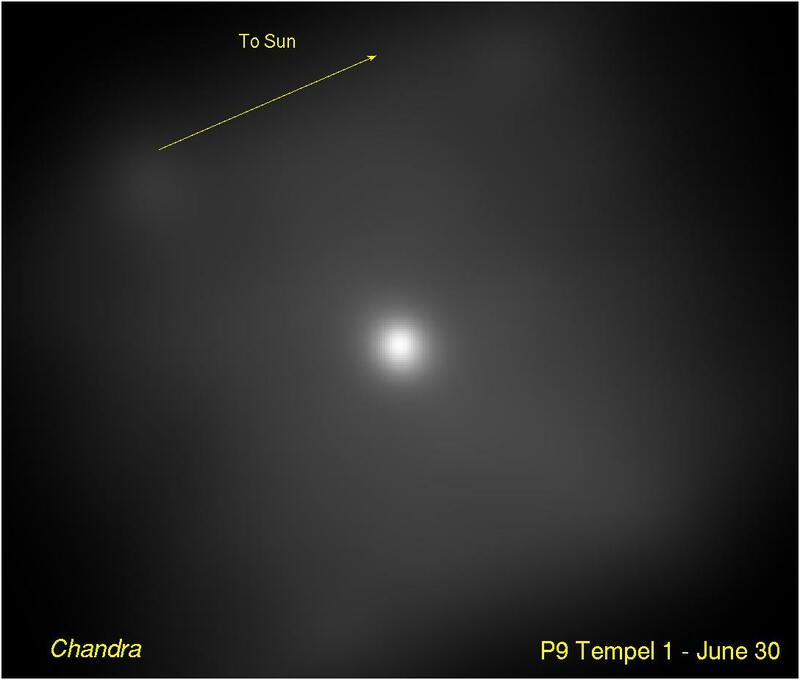 Chandra observed the comet during the collision of NASA's Deep Impact impactor probe with Tempel 1 on July 4, and it will continue to monitor the comet in the upcoming weeks. These observations could provide information about the expansion of the ejected material away from the comet. Scale Image is 14 arcmin across.